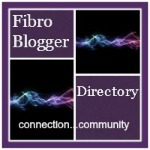 Having an illness like fibromyalgia is not a reflection of your character. No one works harder than someone with a chronic illness – every day is a struggle to work through symptoms and do your absolute best to be where you’re needed. The biggest change in my life that followed my fibromyalgia diagnosis was leaving my career because I just physically could not keep up any longer with the demands of the job. I’ve never felt more conflicted about making a decision. On the one hand I felt relief – it was incredibly stressful to constantly fail to meet expectations while working harder than ever before. On the other hand, I felt like I was losing a core part of my identity. After all, a career is not just what someone does between 9 to 5 – it’s often how a person understands and defines themselves. Have you ever noticed that the first question someone asks you after being introduced is “so, what do you do for a living?” It’s common to answer the “what do you do for a living” question by saying “I am a ___“. In our society, an occupation is not just what you do but who you are. 43% had annual personal income less than $15,000 [poverty line] (compared to 29 per cent of the general public) (Parlor). “Our society is largely driven by money, profit, and earning power, and this makes our professions a major part of how we identify. So if you lose your job, you can easily lose your identity, too” (Norris, 2016). I felt so disoriented in the months after I left my job. It was hard to figure out who I was now and how I fit in. As I began to engage online with other people living with chronic illnesses and disabilities, I learned more about how to understand work and disability in our society, and what that meant for me as I transitioned to staying at home. Initially, the label of ‘disability’ did not resonate with me. I associated it with a permanent condition like vision-loss rather than a fluctuating illness like fibromyalgia. But once I learned the definition of disability, it became clear how it applied to my situation. According to the American Disability Association, a disability is a physical or mental impairment that substantially limits major life activities (Blahovec). Fibromyalgia impairs my abilities by causing pain, fatigue and brain fog. The lack of truly flexible accommodation in campuses/workplaces, like fixed work hours, deadlines and location, combined with stigma about invisible illnesses/disability, prevents my full participation in society. Is Disability an Individual Problem? The most common way we look at disability in our society is through the lens of ‘normal versus abnormal’. A person with a disability is different from ‘what is normal’ because of their limitations. This understanding of disability is often called the medical model – disability is an abnormal, medical condition affecting an individual (Scope). We often hold up ‘inspirational’ examples of individuals with disabilities who ‘overcome’ their limitations by ‘fighting through’ the challenges they face, all the while having a good attitude (Abilities). The flipside of this is if you go about your business, pacing yourself within your limitations, you may be judged for “playing the victim” by “giving in” to your disability! If we were able to create an inclusive society, which removed the barriers that restrict life choices for people with disabilities, then everyone could participate equally in our communities. “The social model of disability says that disability is caused by the way society is organized, rather than by a person’s impairment or difference” (Scope). Barriers can include attitudes (stigma, discrimination), policies (workplace accommodations) and physical design (accessible entrances, transportation). For chronic illness advocates, joining the disability movement can help to “advance not only the goals for people with similar challenges, but for the whole disability movement” (Blahovec). News flash for your inner critic – not being able to participate fully in work/school is as much about ablest barriers as it is about physical limitations, and neither of those things is your fault! If your contribution to the world is not in the form of paid employment, it is no less valuable than anyone else’s. The world is a better place because you’re in it! Finding your identity outside of career makes you a more well-rounded person, whether it’s in relationships (like being a parent) or passion projects (creative expression, writing/advocacy). Pacing your activities within your limits is working smarter. There is no need to “overcome” or be “inspirational” – just living your life the best way you can is all you need to do. I really appreciate seeing someone accepting the term disabled for what it means, rather than for it’s connotations. I understand how others can find it problematic, but like yourself I use it to describe myself because my body doesn’t work as it should. I have hypermobile EDS (amongst other things), it’s a genetic condition so I was born this way. I’m quite literally never going to be able to do things like everyone else, my body was never built that way. Thanks for your thoughts! I read an article that made a good case for linking invisible disabilities or chronic illnesses with the larger disability movement. The world has been built for the ‘normal’ set of abilities, and that makes it difficult for those of us whose bodies and minds are built differently to fit into that world. But how can we really come together to ask for inclusion if we are fragmented by diagnoses? Disability is the best umbrella term. I worry that not wanting to use it reflects an internalized bias – but of course I can’t speak for how other people want to identify. I think the terms invisible disability or chronic illness work, for me, depending on what context I’m in. I love how you’ve approached this and looked at the different perspectives and values placed on work, illness and disability. Work is something that has upset me so much and I’m still now, even a few days after stoma surgery, going back to the same old thoughts and sense of panic – how am I going to work, what could I do, I need to find a way around it, I can’t focus on myself because I need a job and an income, I’ll be letting everyone down, etc etc etc. I lost my job due to ill health and surgeries, but even after this current surgery the fibromyalgia side of things is a huge obstacle. I think that redefining the value placed on the meaning of work (“I’m a …” and what it means in a social context or conversation), looking at what matters to you, finding new and different paths to adjust to the situation you’re in and the health you have, are all incredibly difficult to do, yet incredibly important, too. Great post – I’ll bookmark this to read again and remind myself of what you’ve said when I’m stuck in the ‘feeling crappy about myself not working right now’ rut! Thanks so much for sharing your thoughts! My inner monologue sounds very similar to yours…it’s really really hard to feel value in other contributions or activities. Is writing a blog enough? Shouldn’t I somehow work from home? Would part-time be enough though? Is time resting or stretching or going to physio “wasted”?… I’m trying to move from knowing those things aren’t true or helpful to feeling that way. This was kind of my letter to myself about this stuff. Thanks for the kind words 🙂 I find that my feelings about not working come in waves, where I get better at finding meaning in other things but other times feel down about it. It’s definitely a mental game! I’m glad that you’re finding the adjustment easier over time, that takes a lot of strength. I love this Katarina! And I really need to hear it, I have just been dismissed from my job because I couldn’t keep up with it and my MS. But you are so right that it is often the ‘social model’ that impacts so much on our ability to continue with work. I worked in a hospital without automatic doors, had the need to carry materials everywhere and there was the expectation (and workplace rule) that everyone at my level had to work a minimum of three days a week. It was impossible. The lack of accommodation at some work places makes me very frustrated to hear about and I’m sorry you had that experience. I’m really glad to hear my article resonated with you. I wish none of us had the experience of feeling marginalized. But the the validation of shared experiences and reaffirming more inclusive ways of looking at the world means a lot. Your blog is such a meaningful contribution to the world, just for starters 🙂 I have to remind myself about these things all the time too. Sometimes the internalized things are actually the hardest to push back on. So know this, and not liking! Thank you for writing this article. I could relate to everything you said, having left work because I needed to manage my health. It’s funny how one’s character is seen to be inexplicably linked to whatever job you have. For years I proudly said I was an events manager and now I’m like, err I erm write I guess. Because I don’t get paid for what I do, it’s not seen as a “job” and therefore not worthy of the same level of respect. Though having started my blog and becoming a patient and health advocate, I would argue what I do now means more than any job I’ve ever had. It’s embarrassing to say you had to leave your job due to health reasons, but as you say, no one tries harder at work than someone who has a long-term health condition! Thanks again – your post is excellent. Thanks so much for your comment, and for sharing your experience. I think you get to the heart of the matter by pointing out that even helping others is devalued if you don’t get paid for it. Looking at things the way our experiences teach us to is tough when the the world around us don’t share that perspective. It’s not easy being green… but at least connecting online is really validating. This is where I am now struggling. I am currently signed off work (in the U.K.) and I know deep down that I will not be able to work again. I do voluntary work which I can manage but not the everyday stuff. How will I be able to afford my mortgage? To live? I am really stuck and feel overwhelmed by everything. I’m so sorry to hear about the challenges you’re facing. Chronic illness and disability make finances a real struggle for lots of people. I wrote another post that might help to answer some of your questions https://www.google.ca/amp/s/skillfullywell.com/2017/09/25/chronic-illness-hurts-your-budget/amp/ Many people with chronic illness apply for social assistance or obtain medical disability insurance coverage through their previous employer. I’m not sure what’s available in the UK but I would encourage you to look into your local social service office or your employment insurance coverage. Remember that you probably qualify for disability benefits now if you are unable to work because of a medical condition. There are also many work from home jobs available online now that might fit better with your symptoms like transcription, customer service and teaching English. For example https://theworkathomewife.com/teach-english-online/. Best of luck to you!